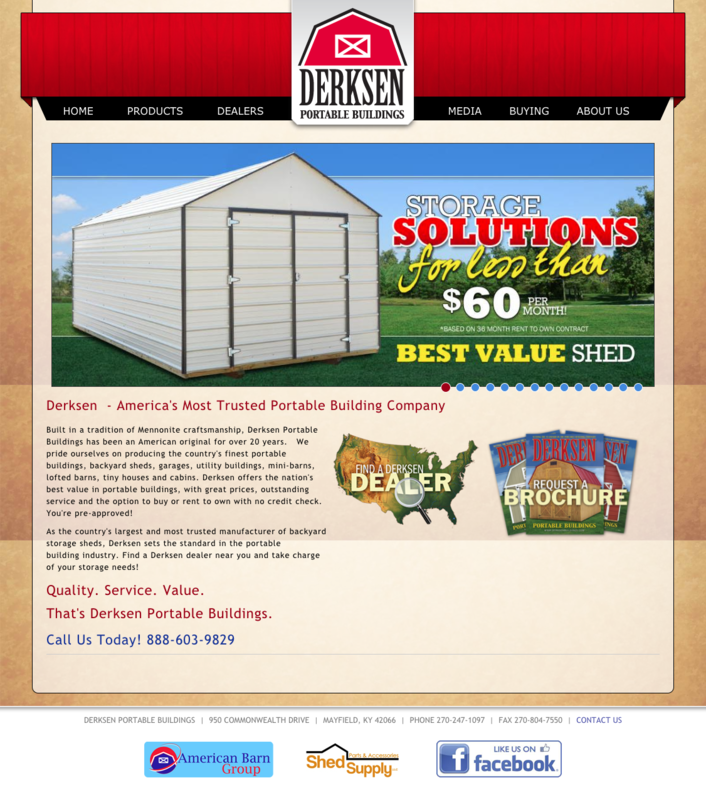 As America’s most trusted portable building brand, Derksen brings over 20 years of experience to the industry. Based in Mayfield, Kentucky, Derksen buildings are sold throughout the United States. 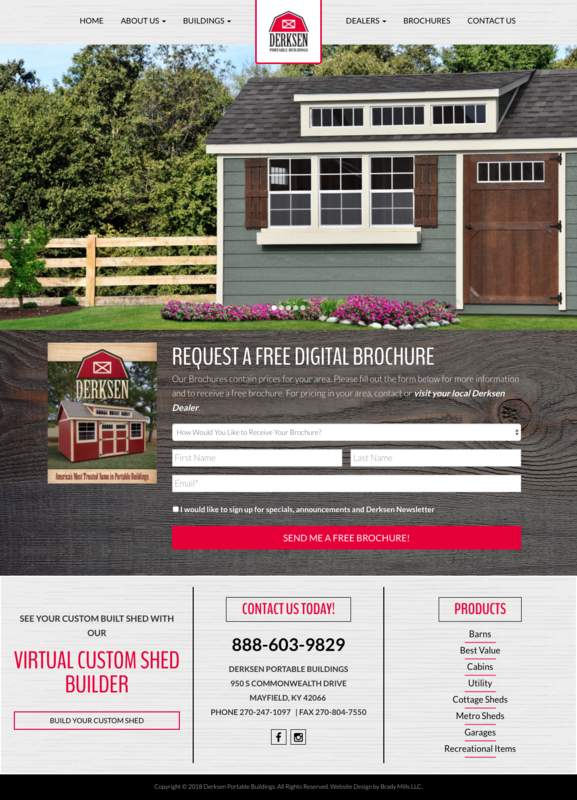 Derksen needed a website that would represent their high quality standards, showcase their industry leading products and allow visitors to easily find their local dealer. Additionally, location-based brochure downloads were an integral part of the website functionality. The homepage features a large hero image slider that showcases the various products and can be used to call out specials and promotions, followed by a “Download Our Brochure” call to action. 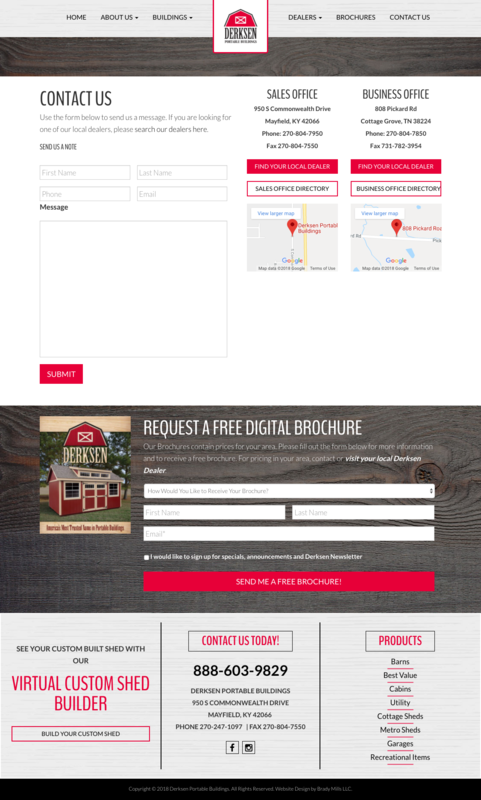 This brochure form dynamically generates the brochure based on user location and sends via email. In addition, the form is integrated with Derksen’s third party mailing list. 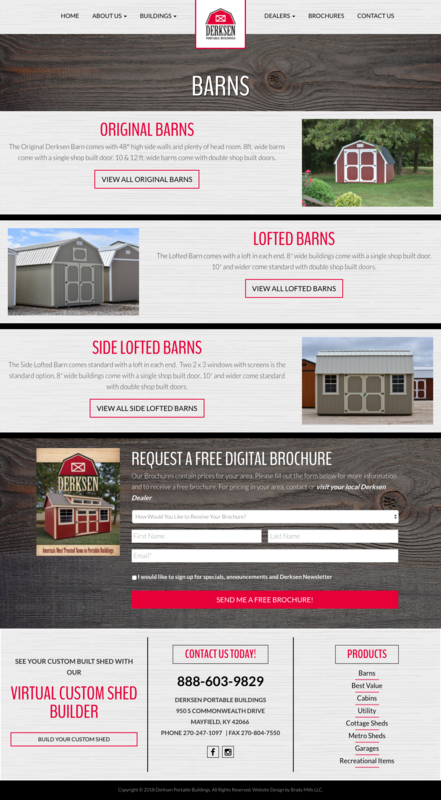 The responsive, mobile-friendly products page features an alternating layout that is easy for the eye to follow. Additionally, categorization of the products allows users easier navigation. The location search allows users to easily find their nearest dealer and view on a map. With hundreds of locations throughout the US, Derksen needed a dealer search that was intuitive and easy to use. 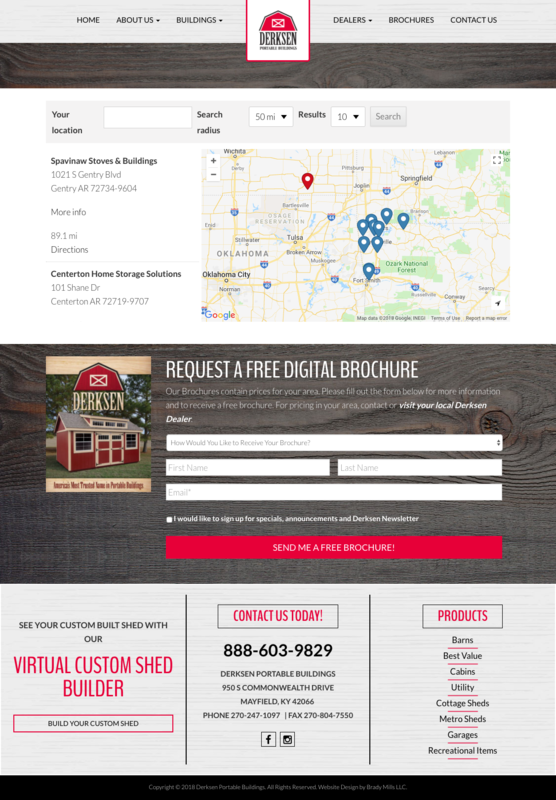 The contact page for Derksen includes a form to email the corporate office, along with a few maps for the company’s multiple headquarter locations.